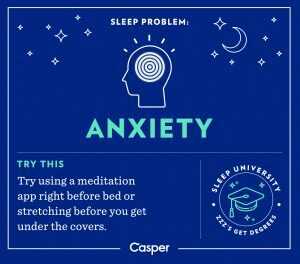 Affecting one in every four Americans, anxiety is the most commonly diagnosed mental illness, so it is no surprise that anxiety can cause sleep ailments for many people. 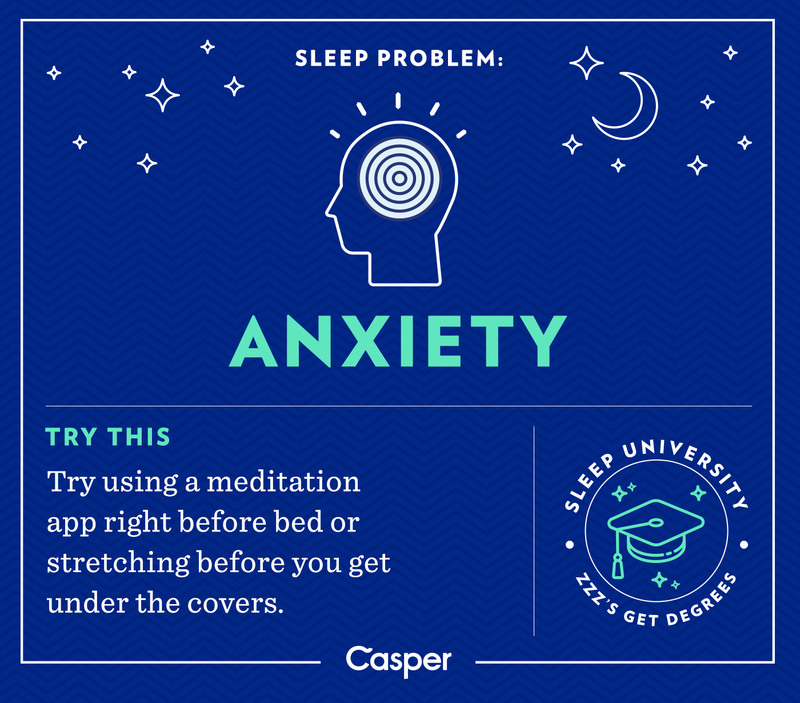 To combat night time anxiety, which can come from worrying about how tired you will be the next day or thinking about tomorrow’s responsibilities, try meditating before bed to lower your heart rate and put you to sleep faster. 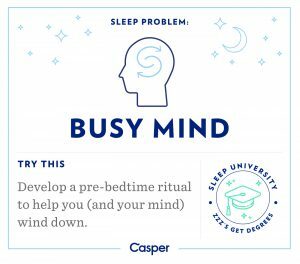 Similar to anxiety, a racing mind can keep you up for hours when you are trying to go to sleep. 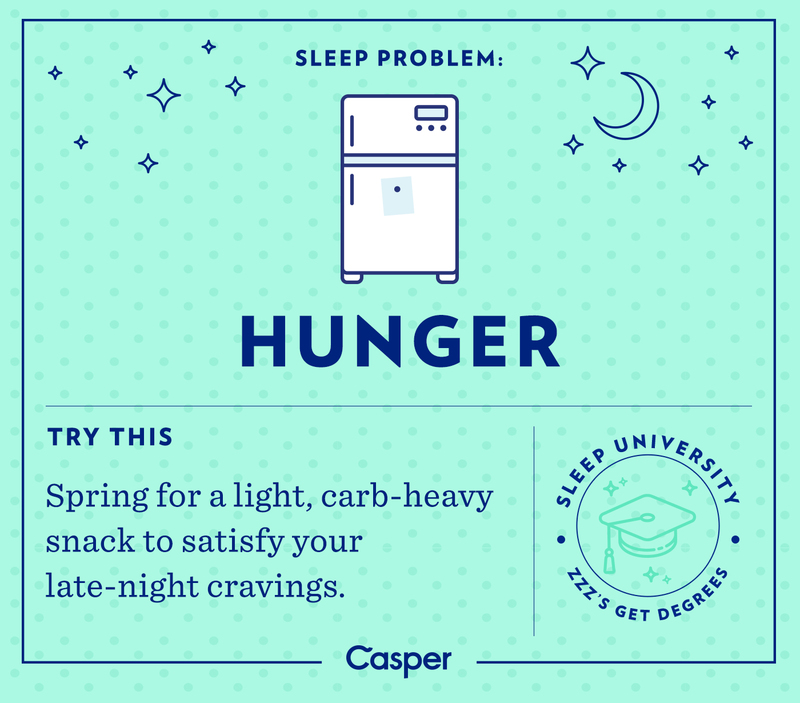 Many night owls are especially guilty of this, with their energy and creativity coming at night. 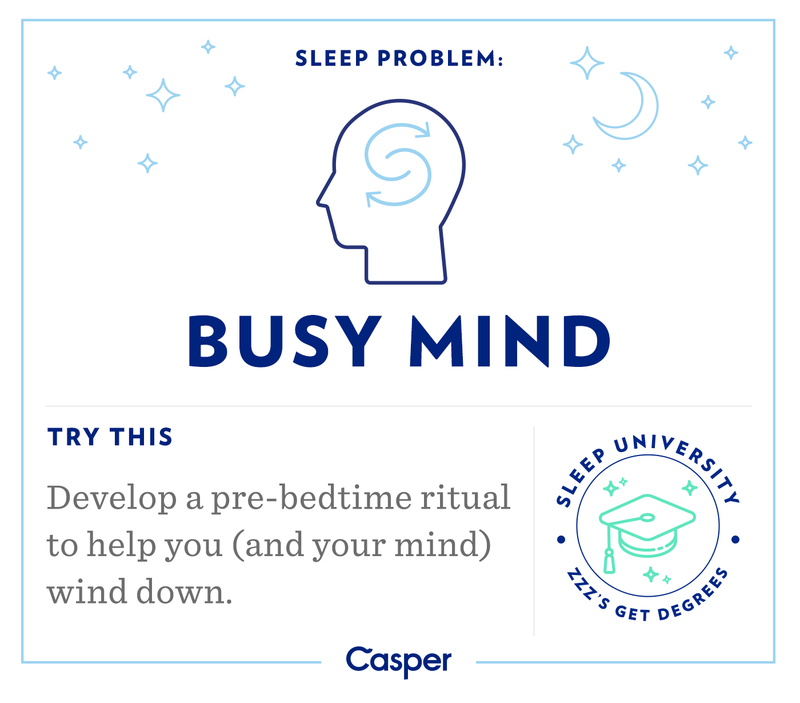 If you are having trouble turning off your thoughts when it is time for bed, try to develop a bedtime ritual or routine to signal to your mind and body that it is time to slow down. 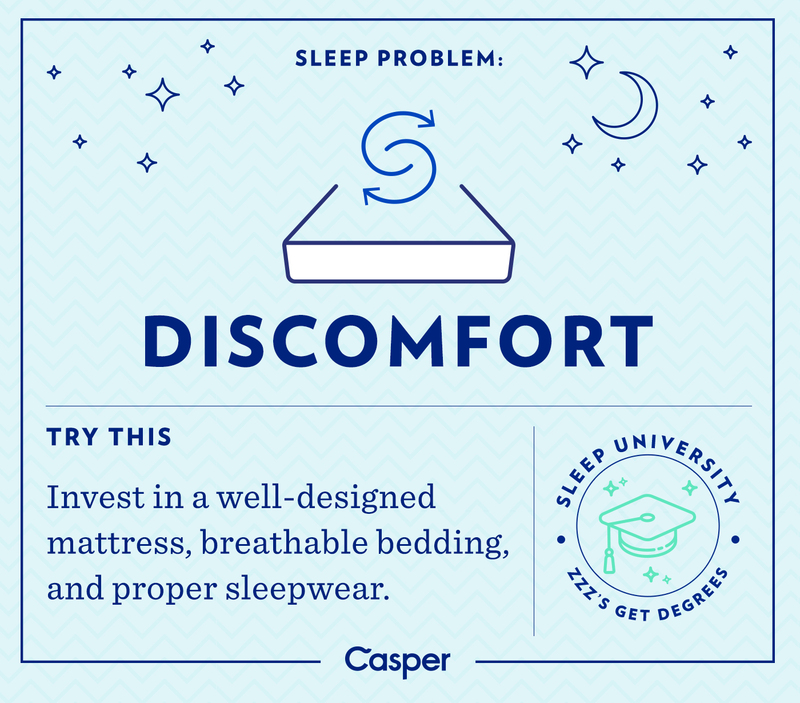 Coming from a multitude of sources, such as a lumpy mattress, uncomfortable pajamas, a stiff pillow, or even just humidity, discomfort is detrimental to the quality of your sleep. 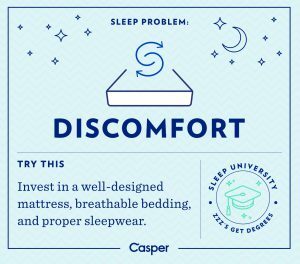 To find comfort every night, upgrade your mattress to one that has no coils or springs and will wear out evenly over time. 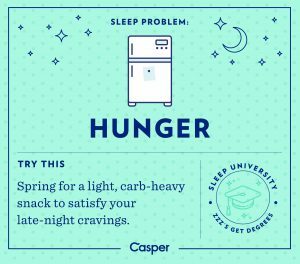 Diet myths often suggest that going to sleep hungry is the key to a fast metabolism and weight loss, but hunger has been proven to lead to worse sleep, which in turn, increases our sugar cravings and actually makes us eat more. To get that “turkey coma” feel without gorging on a Thanksgiving bird, try a light bedtime snack of almonds or cherries, which are both absorbed slowly by the body and keep you asleep all night long. 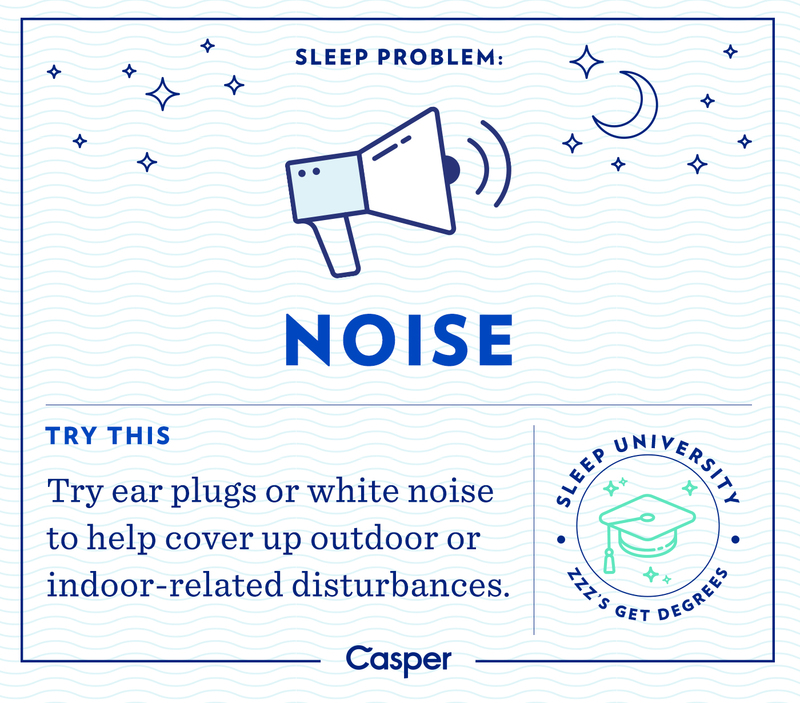 While some people like to fall asleep to Netflix or a news program, distinct noise can be detrimental to your sleep. 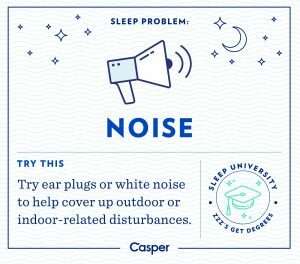 Whether you wake up to the drop of a pin or need noise to fall asleep without feeling uneasy, all sleepers can benefit from the neutralizing sounds of a white noise generator, which will create a steady background noise without providing any distractions. 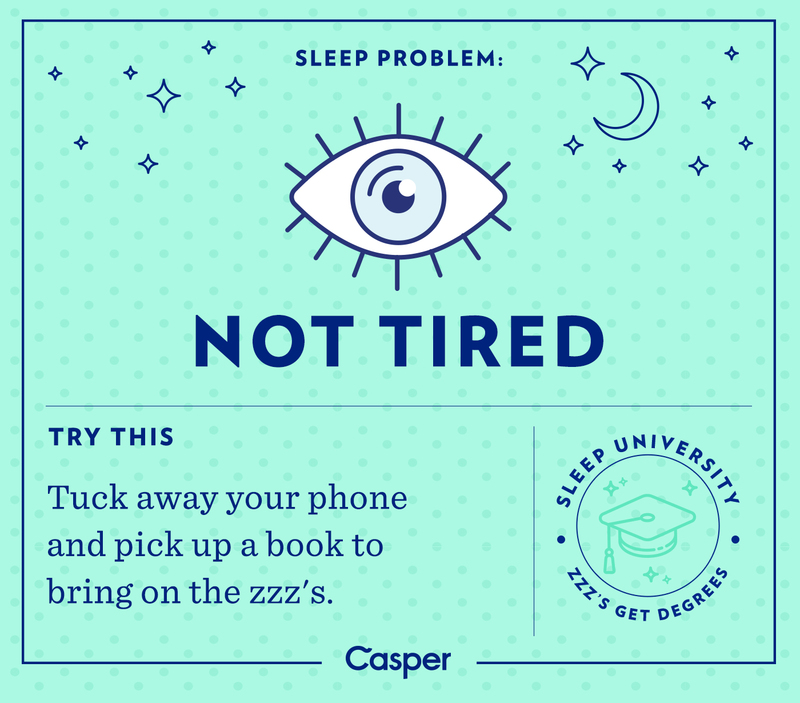 Night owls again fall victim to this sleep ailment. Many people have difficulty sleeping because they simply do not feel tired when they head to bed. 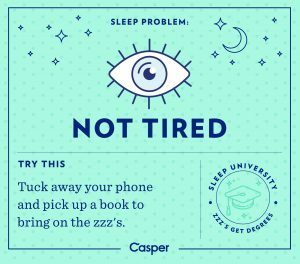 If you are one of these people, switch out your nightly phone scroll or movie time for a book or magazine. This will eliminate the blue light emitted by our screens, which has been proven to mimic the sun’s rays and actually wakes us up. 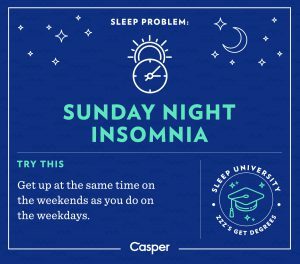 Weekends are great because they give us a much-needed break from our unwanted alarm tones, but sleeping in can actually cause worse sleep for us on Sunday nights. When your body recuperates for sleep lost earlier in the week, you lose the internal schedule that your mind has gotten used to during the past week. 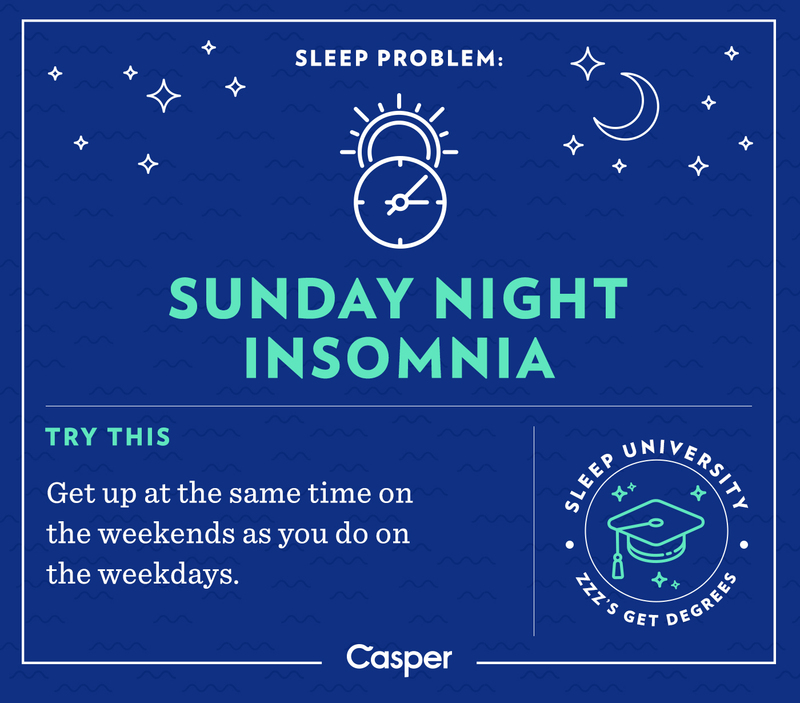 To get your best Sunday night sleep, try waking up around the same time every day. 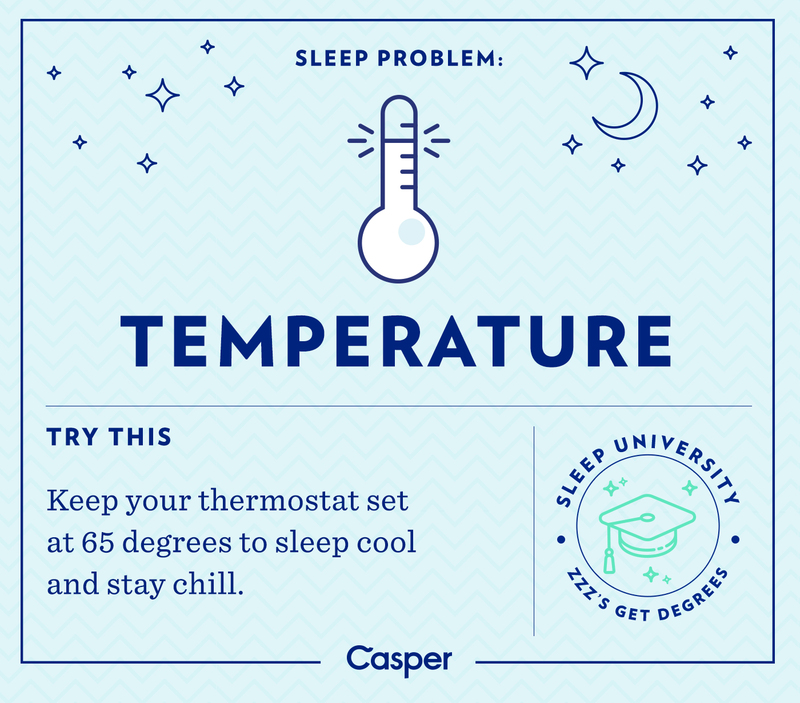 Last but not least, the temperature in your room plays a huge role in the quality of your sleep. 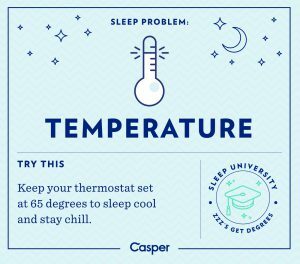 If your room is too hot, you will lie awake tossing and turning all night, but if it is too cold, you will spend the night shivering instead of sleeping. To fall asleep quickly every night, try to keep your room between 60 and 67 degrees Fahrenheit year round.